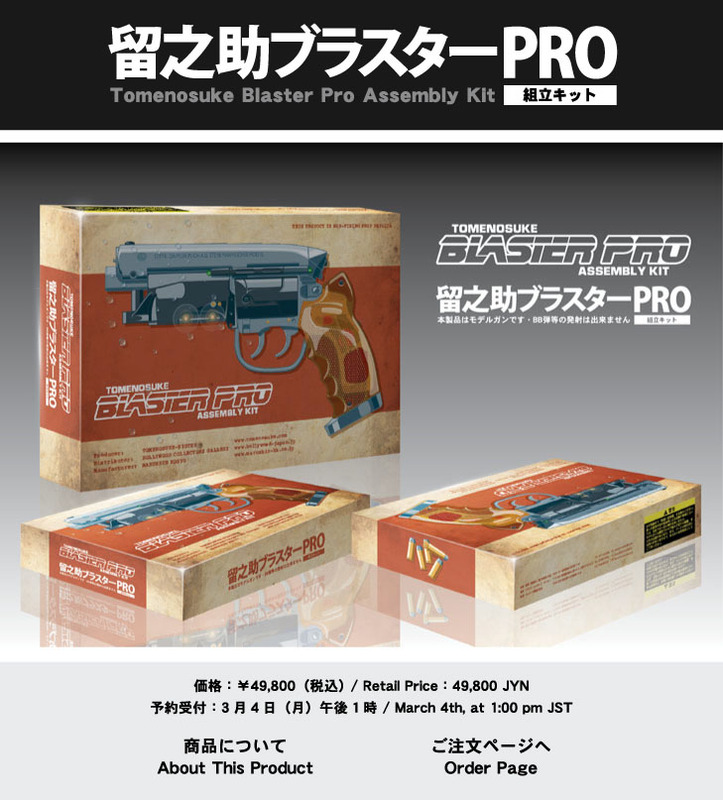 在庫僅少・ご注文はこちらから→http://tomesyoten.exblog.jp/19768197/ Limited stock! 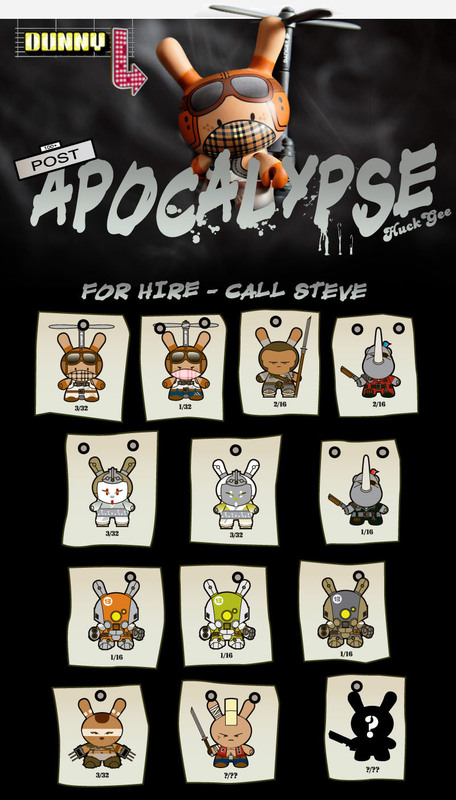 Huck Gee's Post Apocalypse 3'' Dunny Series are on sale now!! Pre-Sale Date：March 4th, at 1:00 pm JST at here. 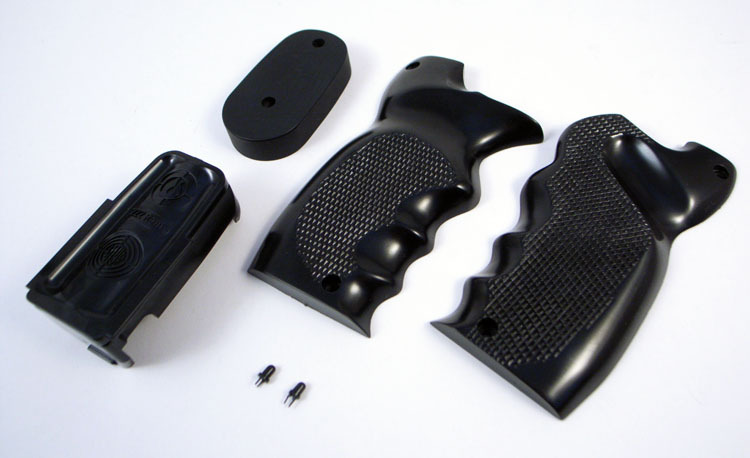 Order Privilege：Police Model Conversion Parts gift set (see image) to the first 200 people. Sarah Jo joins Ayleen and George for another episode of Toy Break. 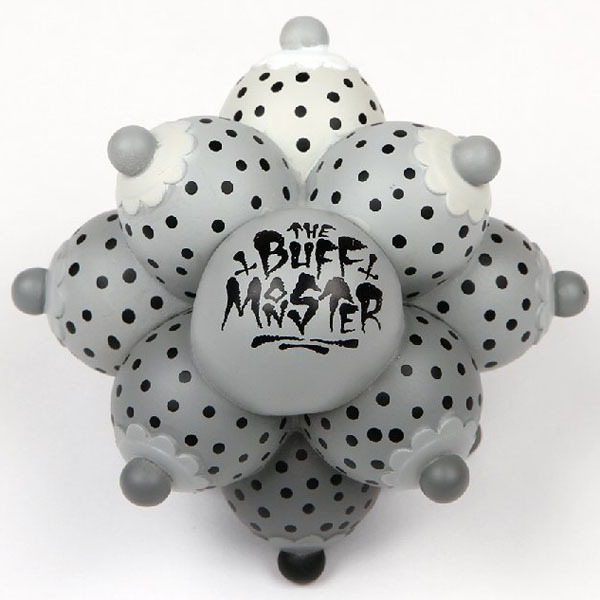 This week, Episode 251: Suitable For Having shows off some DKE goodies including Power Mazinger-Z, Jaguar Knight, Temper Tot, and much more. 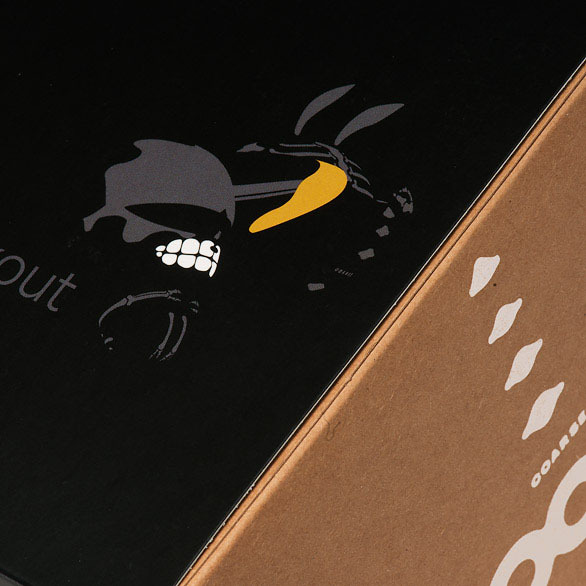 これでマルシン工業さんをはじめ、RCベルグさんたち全員が量産体勢に入った。 I approved the proof print of lid of the box which Shimohata-san of package factory Hidashiki has brought. 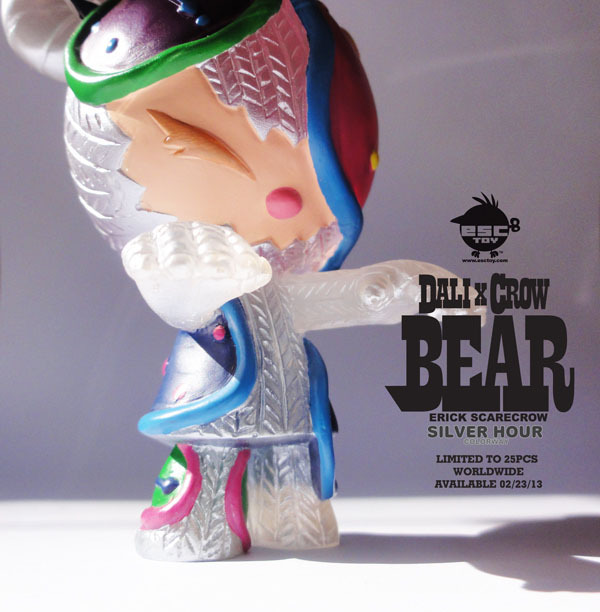 ご希望の方は右の「Inquiry お問い合わせ」バナーか、こちらからご連絡を。 Dali x Crow Bear Silver Hour colorway by Erick Scarecrow. 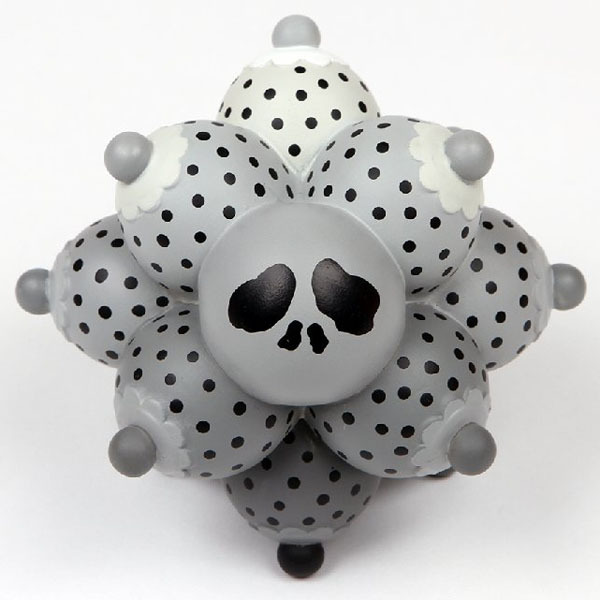 These figures are limited to only 25pcs worldwide. 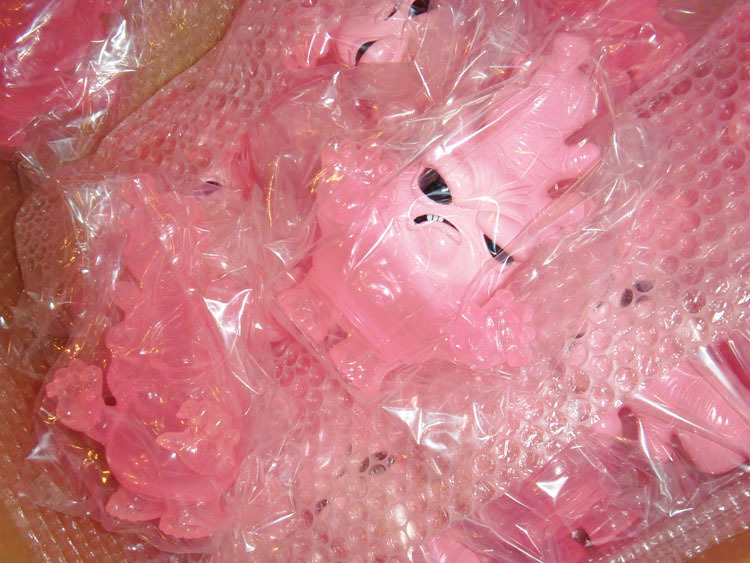 Each 3.75" hand painted semi clear resin figure is signed/numbered by artist. 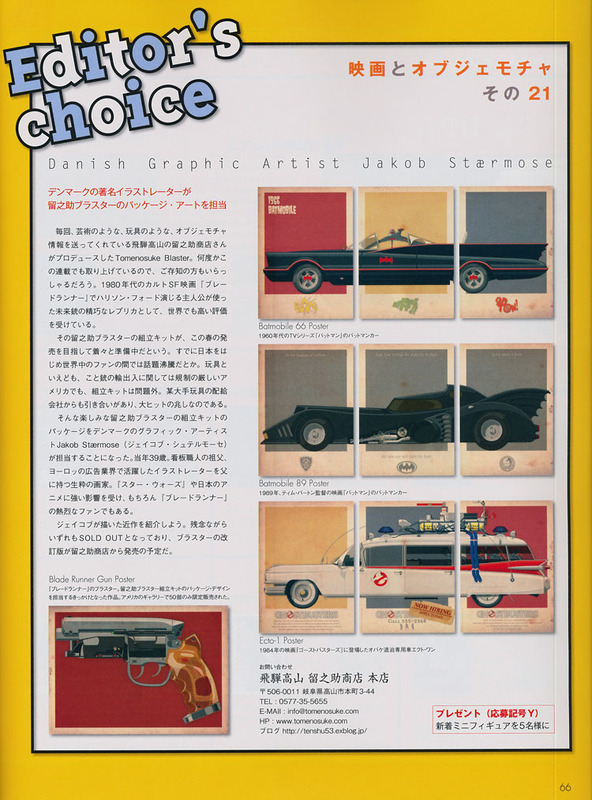 もちろんキットの告知もさりげなくしてもらった。 The latest issue of bimonthly movie magazine FLIX is a feature of the work of Danish artist Jakob Stærmose who designed the package of the assembly kit of Tomenosuke Blaster Pro. 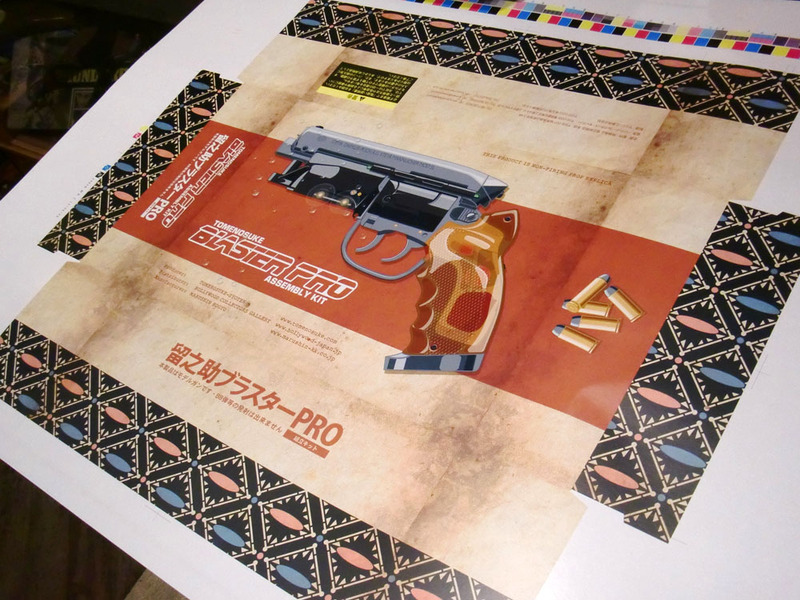 ご注文はこちらから→http://tomesyoten.exblog.jp/19844760/ COARSE "oop prey blackout" is now on sale at here.